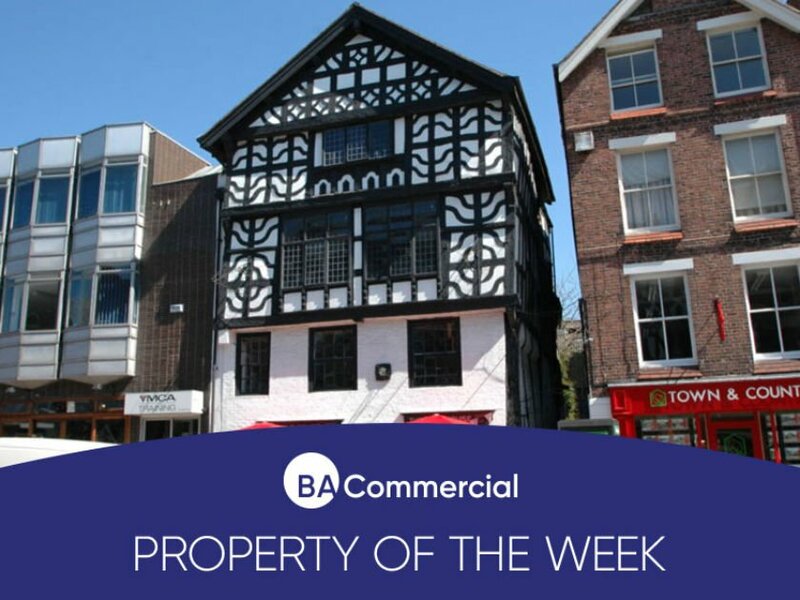 Tudor House dates from approximately 1603 and is regarded as being one of the oldest private houses in Chester. The facade presents an unusual combination of Tudor and Georgian architecture with the lower half of the building being more Georgian in character and with the timber framed upper half of the building typically Tudor. The building is Grade II listed and has an extensive Listing detail which indicates that the property was built as a townhouse since its first recorded owner, Roger Ormes, occupied the premises in the early eighteenth century and the application was made to enclose the old Row which ran through the building at first floor level. The building has been extensively modernised and renovated in the last century and in particular by the current owners, who undertook a detailed scheme of modernisation particularly to the upper floor apartment which was granted a Civic Trust Award. The premises provide a mixed use opportunity comprising a ground floor retail shop previously utilised for the sale of sandwiches and delicatessen products together with a restaurant area which provides approximately 24 covers. The main internal staircase leads from the sales area and provides access to the attractive upper floor suite to the front section of the building in two main rooms, which is currently let, and to the remainder of the first floor area are shared wc facilities for use by the commercial sections of the building, together with a large preparation area and commercially equipped kitchen facilities to the rear to serve the ground floor shop. The upper floors have been totally refurbished to provide a stunning and unusual apartment and great care has been taken in undertaking work sympathetic to the original period features and there is a wealth of original beams. The building has the benefit of a side access gate entry from Lower Bridge Street, which provides separate self-contained access to the upper floor apartment together with a side servicing entrance at first floor level for the shop and offices. The premises are offered for sale freehold with full vacant possession.